1Mix cream cheese and 1 Tbsp. milk in large bowl with wire whisk until well blended. Add 1 1/2 cups of the whipped topping and chopped candy bar; stir gently. 2Pour 1 1/2 cups cold milk into another large bowl. Add pudding mixes. Beat with wire whisk 2 minutes or until well blended. (Mixture will be thick.) Gently stir in 2 cups of the remaining whipped topping. 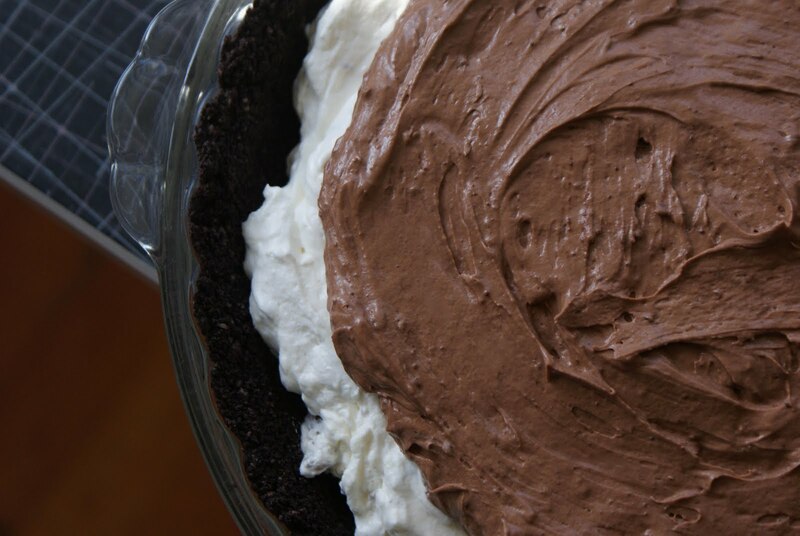 Spread half of the pudding mixture onto bottom of crust; cover with cream cheese mixture. Top with remaining pudding mixture. 3Refrigerate 4 hours or until set. Garnish with remaining whipped topping. 4 Store leftover pie in refrigerator.